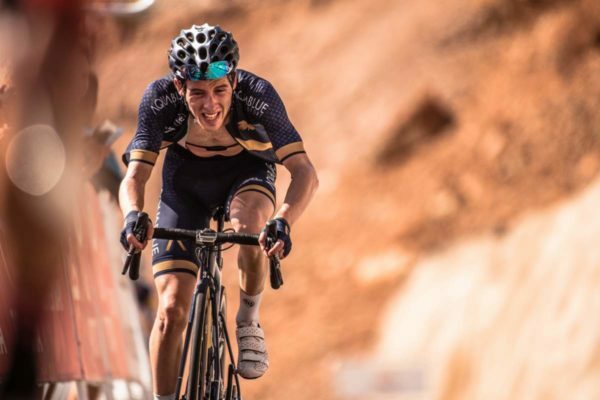 British rider Dan Pearson has found a new team following the demise of his employer for the last two seasons, Aqua Blue Sport. The 24-year-old was among the group of riders to first join the Irish ProContinental team when it was about to begin racing two years ago. However, with the squad having stopped suddenly in August, he found himself in need of a new squad. And next year he will ride for Canyon dhb p/b Bloor Homes, which was called Canyon-Eisberg this year. The move means a return to the UK Continental scene for him having previously ridden for Team Wiggins for two seasons. Pearson was 11th overall at the Tour of Oman this year having placed 7th on the stage up Green Mountain. He was also 6th overall at the Tour of Croatia. Pearson joins a number of his team mates from this year in finding new teams, with some landing back at the WorldTour. Irish champion Conor Dunne will ride with Israel Cycling Academy, Larry Warbasse goes to AG2R-La Mondiale and Stefan Denifl has agreed terms with Team CCC. Eddie Dunbar has already raced with Team Sky and will ride for them next year. Adam Blythe will ride with Lotto-Soudal in 2019. And Casper Pedersen, the former U23 European road race champion, will ride with Team Sunweb, alongside Irishman Nicolas Roche. 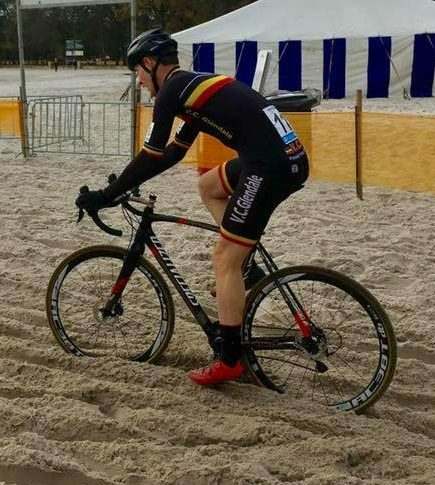 Brendan Doherty negotiates the sand on his way to a very strong result at the Masters Worlds in Mol. 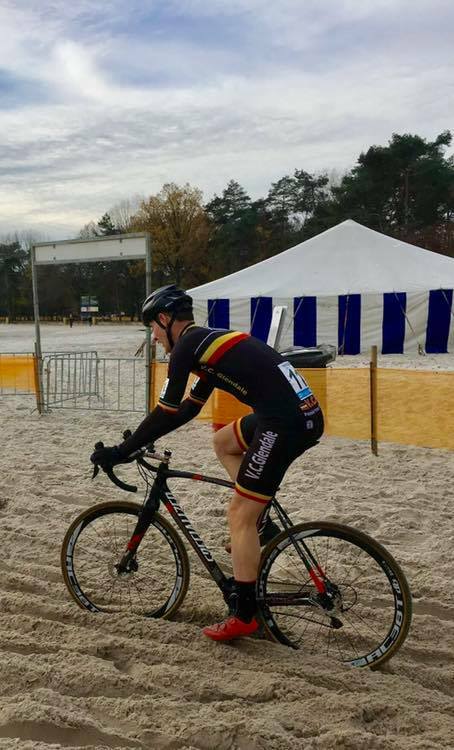 Irish cyclists have ridden well at the Masters World Cyclocross Championships in Belgium, with Brendan Doherty placing 12th. The VC Glendale man was gridded close to the front at the start and went on to take a very tidy result yesterday in Mol. He was riding the M50-54 event; racing very strongly despite the fact he is recovering from flu. In the same race was Des Woods, the Masters 50 Irish champion. He was not as fortunate as Doherty in his starting position; starting from the back and placing 28th in the 57-rider field. In the M45-49 race Alan Bingham, a Newry Wheelers team mate of Woods’, came home in 25th place. He too drew a short straw being gridded at the back. Sean O’Tuathail of Bray Wheelers and Gareth Muldowney of Clondalkin CC were in the M40-44 event. They finished in 24th and 49th respectively.